Happy Thanksgiving! I hope you’re all getting ready for a big turkey dinner with your families. What a better way to celebrate than the dysfunctional McCullough family. In an effort for the library to save money, I’ve been able to read Before You Know Kindness with both of my book clubs now. 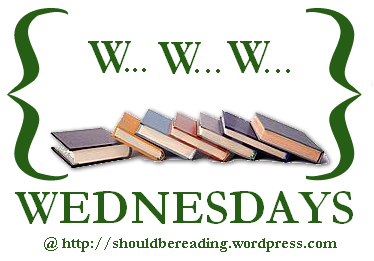 You can read my book review and my earlier Book Club Reflections in these links. And now on to a new discussion! This discussion was in my ‘edgy’ book club and we debated first if it fit our theme. We thought it was a unique topic to write about. We don’t get a lot of books about vegetarianism and activism in that area, but it’s a far cry from the definitive edgy-ness of China Mieville. In the end we decided it qualified, but was low on the spectrum of Joshua Ferris to Ray Bradbury. The narration skipped between the heads of many of the main characters. We talked about if this technique helped us know the characters or hindered our enjoyment of it. On a personal note, I enjoyed it. Our group was split. Some found it hard to keep track of all the characters and how they were related to or associated with the others. Some liked getting in the head of all the main players in the story. There was a general feeling that you didn’t get to know the characters as well as we would if one person narrated the tale. Some were more flushed out than others. We found Willow the most flushed out. She was easy to relate to and likable. Sarah was likely the least developed. She was a therapist so she listened well, but she didn’t really talk enough that we could get to know her. We wondered if her reluctance to talk about her problems was a New England mentality. Because we didn’t get into the characters heads as much, we didn’t get a lot of emotion from Nan. It felt like she cared more about how her family looked and what they did more than how they were emotionally. She seemed to care more about the appearance than the fact. On the topic of too many character, a few people wondered why the EMS woman reappeared in the book. She seemed like a throw-away character when she first appeared and we didn’t see a reason behind her coming back to see Spencer. We wondered if she’d come back a second time, but no such luck. It seemed odd to us. Spencer showed a lot of person growth as a result of his injury. It saved his family in a way because it forced him to change. At first he was angry and pushed his family away further. He was in denial of his injury and thought things could return to normal. And thank God they didn’t. I’m glad Spencer suffered because it brought him so much closer to his family and helped him connect with them. Would would have thought losing your arm could be so beneficial. On that note, one member brought up that she thought the resolution between Spencer and Catherine was a bit rushed. For the whole book and before the story begins, Catherine is unhappy in her relationship and I think she felt obligated to stay with Spencer after the accident instead of wanting to. Overcoming all of that resentment seemed to happen really quickly. If Charlotte hadn’t confessed, he might have gone through with the law suit and Catherine would have left him. It was really Charlotte who saved her parents marriage more than Spencer and Catherine being able to reconcile their differences. Spencer’s vegetarianism and devotion to FERAL were huge points of the story. Knowing what I do about the author, one would expect Spencer’s point of view about animal rights to come across strongly but to still be convincing. We didn’t see that at all in Spencer. We didn’t find him effective in converting others to his style of vegetarianism or in seeing the harm he saw in animal abuse. Spencer was so unappealing through most of the book that his point was less effective. We think Spencer felt important when he was outspoken and could force others to eat what he thought was ‘good.’ He forced his wife and daughter into his beliefs and seemed to think he could do that to the rest of America. We felt the book was rather one-sided and didn’t talk about the benefits of meat and animal products that Charlotte might have needed growing up. It seems pretty clear that FERAL is a fictional representation of PETA when it comes to extreme measure to protect animal rights. These people were willing to go to court to protect animals like many people would protect their own children. We hated to see Spencer taken advantage of by his company, but that seemed to be what was happening. He was a pawn and either didn’t realize it or didn’t care. The other character we talked about a lot was Charlotte. She seemed to fit her age more than Willow did. She still seemed pretty sophisticated for her age, but we as mid-Westerners can’t understand a blue-blood New Yorker lifestyle. Charlotte seemed to have an up-and-down relationship with her father before the accident. She idolized him and we think she saw him as a strong person, which he probably liked. He would spend intense weekends with her, treating her to her favorite things and then be away or busy for a long period of time. She seemed to respect his values, except for her plastic shoes because she wasn’t allowed leather ones. I wonder if their relationship will improve when he’s able to spend more time at home with her. If Charlotte hadn’t confessed, we wonder if the trial would have happened. If it did, we feel confident Willow would have told the truth because she seemed to have a lot of integrity. We think Nan suspected the girls were drunk but didn’t want to say anything in front of their parents that night and then felt forced to bite her tongue later on. This relates back to her caring more about appearances than about people. One thing I wanted to make sure was brought up was the casing in the crow’s nest at the end. Some felt that Bohjalian was trying to close some loops and patch holes and that bringing the casing up helped him do that. Personally, I would have preferred if that part was left out. I would have been okay not knowing the truth. A few others felt the same way. As a side note to my fellow book clubbers, Chris did tweet me back. @SamAnnElizabeth I hope it was a great discussion. So flattered you chose the novel! We won’t be meeting in December and our January selection is The Handmaid’s Tale by Margaret Atwood. So pumped! I’ll be honest and say I read Gone Girl because I wanted to see the movie. I was planning on waiting until February when my book club will be reading it, but after hearing so many good reviews of the movie, I moved it up. And wow, I was floored by that movie. Woo! Ben Affleck. He was really incredible and I thought he did a really believable Nick. I wanted to like him and hate him at the same time. He was a scumbag but not a murderer. Margo. I thought the relationship between Nick and Margo was almost better on-screen. The ‘twincest’ references made more sense when I saw them in the movie because I didn’t get the vibe so much from the book. Taking out Desi’s mom. I thought Jacqueline was a pointless character, to be honest. Her only purpose was defending Desi after he’d died and it was fruitless so why bother? It made him seem a little off that he was in his 30s and lived with his mom, seeming not to work at all. But there are these rich types, right? Taking out Amy’s high school stalker. She added to Tommy’s story and made it seem all the more convincing that Amy’s somehow faking everything, but with Tommy included, it was no big deal. That killer of a closing line! The last line in the book is still in my brain and I wish they’d kept it in there to close the movie. It was the kind of closing line where you angrily turn the page to see the ‘About the Author’ section when you really wanted just one more page! I thought it was too much to take out Amy feeling trapped at Desi’s lake house. I felt that feeling of having to count on a man was part of what made ‘New Nick’ seem so appealing to her and why she ultimately decided she could be back with him. I did see Desi as controlling and wanting her to look like the Amy he remembered, but I didn’t get as much her feeling of helplessness with him. I wish that had been kept in somehow. With all the details that went into Amy’s plan, I was skeptical of how they’d come across in the film and I was blow away by how well the story kept to the book. I know Flynn was involved in the screenwriting and film and I’m glad she was because she was able to make sure all the little things that make Amy so evil were there. I enjoyed this movie way more than I expected to and I would highly recommend it to anyone. Reader, I’m dying to know what you think. What did you think of the Gone Girl movie? Was there anything else you would add to my lists? Were you as grossed out by the death scene toward the end as I was? ‘Twas the week before Thanksgiving and all over the world, the NaNo-ers were scurrying to 40K words. It’s about time for everyone to be in a huge rush to finish as much as possible before Thanksgiving. I know I am! I’ll be taking my laptop with me to visit family in California, but I still want to stay ahead. Here’s how it’s been going. Yes, a little spotty. I’ve been lagging a bit in my school work so this has taken a bit of a back seat to school so that I can be caught up before leaving town. My strategy has been to make up for days missed, but not to let myself ‘get ahead’ of time I will do in the future. I’m not sure this makes sense. Let’s say on Wednesday I did 1 hour even though I wasn’t behind. I can’t apply the extra 30 minutes to Thursday. It’s to make myself establish a habit more. I think it’s going okay. If I were keeping a NaNo word count, I would fail. I started with 7K words or so and I’m now just over 30K which means I cheated and I’m behind. But I’m using time spent doing research and time looking through notes because that’s part of the editing process that I didn’t do much about when Ii wrote the first time. I feel like I’m making huge progress and I’m starting to like my book a bit more. I talked to my writing group about this book and it’s the type of book I would read, but it’s not what I want to write. I want to say something in the books I write, mainly toward a YA audience and it’s not the same message I want to receive in a book I read. It puts me in a weird place now where I’m trying to write something I’d like to read and struggling with it. Ugh. How’s your NaNo? Are you traditional or a rebel like me? I hope you’re enjoying the process as much as I am! Welcome to the pre-Thanksgiving edition of The Friday 56 hosted by Freda on Freda’s Voice. Head on over there and check out the other participating blogs. The community has been really great and I’m excited to jump in! Whenever Ivy looked at her Lou Ann could feel the tired half-moons under her own eyes. Barbara Kingsolver hits you over the head with great sentences like this one. This book alternates between a first person point of view and a third person, which is where this quote comes from. Lou Ann is a new mother and I can picture her so vividly with tired bags under her yes. But Kingsolver says ‘half-moons.’ It’s so beautiful. The fifth installment of my second Read Along With Me book club. 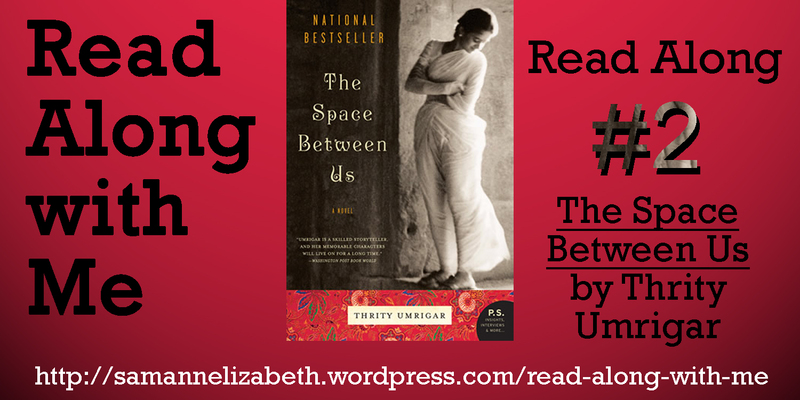 The book this time is ‘The Space Between Us’ by Thrity Umrigar which is absolutely amazing so far. We stopped at a total cliffhanger! You can look at all of our posts on the hub page. We’re almost done with this book but I hope to have a new one start in January so keep on eye here if you think this is something you’d like to do in the future. Here we go! Question from Ashlee: I had a suspicion that things would go sour for Viraf and Dinaz simply because no one has a happy marriage in this novel. Do you think this is Umrigar’s personal beef with the idea of marriage? How she views Indian marriages? Or just the stuff that good heartbreaking novels are made of? I just spent twenty minutes searching for any comment in interviews or factoid about Umrigar and a marriage or relationship or a deliberate addition to failed marriages in this book. All I found is that infidelity and broken marriages are a part of a lot of her books but nothing about her personal life. When I heard her speak last year, it wasn’t brought up. I remember her mentioning that her parents had a strained relationship in her memoir, First Darling of the Morning which I read before meeting her. I’m not sure if there’s something in her past that’s left a bad taste of marriages in her mouth, but reading the book it would seem there might be. I’m not sure if it’s a comment in Indian courtship customs or a lifestyle that’s destructive to loving relationships or a comment on previously arranged marriages or none of the above. I think it could easily not be about marriage in the Indian culture at all and more about how Umrigar feels. Though I do think that Ashlee has a point about broken marriages being the spark to a good novel. Bhima and Sera both share in a broken marriage and Dinaz and Maya are pregnant by the same man. It draws great parallels. I only wish one of the marriages featuring prominently in the book could have been positive! A good friend of mine at work was born in India and was part of an arranged marriage. A friend of my parents in college went home to India for the summer and came back with a wife. I went to high school with their children and they’re still happily together. My experience with marriages in the Indian culture has been completely different from how Umrigar describes the relationships in this book. The closest thing I found to a comment on marriage was from this interview on Umrigar’s website (the 4th question). She comments on how difficult communication is and I think we can see that a break in communication could be blamed for some (but not all) of the marriage problems in her book. Question from Claudia: The one part of this section that left a memorable aftertaste was Bhima’s and Gopal’s back story; in fact, I was completely engrossed. Having said that however, I was completely take back by bar scene with Bhima’s response in light of Gopal’s abuse of alcohol! I mean, in a sense I was 100% supporting her rage and outburst, but then I didn’t see it coming, I didn’t think she would have the nerve to explode the way she did. With that in mind, do you think that Gopal’s decision would have differed if things did not play out the way they did? Do you feel that Gopal’s decision is justified? I’d been anxious to get to this part because I wanted to see how a relationship that seemed so strong and loving could turn sour and literally tear a family in two. Reading it broke my heart as well. However I don’t think I was as appalled by Bhima’s behavior in the bar as you, Claudia. I was rooting her on and I was proud of her for finding her inner strength because it seemed like she never would. I’d been hoping for it since Gopal started turning bitter after his accident. I think Gopal and Bhima’s relationship was heading toward destruction before she exploded at him in the bar. I think her reaction only speed up the inevitable. His dependence on alcohol had severed his relationship with his family and what Bhima did was only an impotence for him to formally end it all. He might have left her later or under different circumstances or he might have drunk himself to death, but I think the chances of them growing old together were gone. I don’t think he was justified to leave her because of her behavior in the bar, but I understand why it pushed him. He’d separated himself from his family and his friends from the bar were his new family and he was ashamed in front of them. He’d already lost his wife and children, losing his friends was too much. Discuss the secrets that are being kept in this novel. All of the main characters, just like all of us in the world, are carrying secrets around with them. Some secrets are to protect others (Sera hoping to protect her daughter by keeping the violence a secret) and some are to protect themselves (Viraf – you jerk!). Oh the power of secrets. They’ve made quite the impact on this little book. I want to take this in a slightly different direction than what Ashlee proposed though. It’s easy to find secrets between any number of the characters; Dinaz and Viraf, Maya and Bhima, Sera and Dinaz, etc. But I can’t think of a single secret between Sera and Bhima. Bhima knows about the abuse that Sera suffered and Sera knows about Gopal’s difficulty finding work after his accident as well as the circumstances of Pooja’s death. These two women are very open with each other. They keep secrets from others and for others, but ‘the space between’ them is clear of secrets. I think that’s a kind of cool way to look at such destructive forces. There’s only one more installment of this book! I read it already and wow, are we going to have a great discussion on the last bit. Be sure to tune in for that one and keep your eyes peeled for the next Read Along, which will begin after the holidays. Book Review: Gone Girl by Gillian Flynn (4/5). I’m still trying to decide if I liked anyone. My plan was to read this if February when it’s a book club selection. My plan was to wait to see the movie. But plans never work out, do they? After so many of the girls at work told me how much they enjoyed it and how well done the movie was, I caved. This has been on my shelf for over a year because I found a used hardcover of it for $2 at a library book sale and knew it was a steal. So I read it. And now I want to see the movie. And not because of Ben Affleck. Now we can move on. I hated every single character in this book. Every one! For a while I thought I was going to like Margo but in the end even she bothered me. The Elliots were insufferable and I wanted them to disappear for most of the book. But I was still sucked in. I was so engrossed that I disregarded house cleaning for a few days and put off studying for my stats exam. But it was worth it. I think it’s a huge credit to Flynn that I could hate Nick and Amy so much but love her book. Kudos to her. Just because I didn’t like the characters didn’t mean I didn’t believe they could be real. Flynn’s characters were so frightening because they could walk off the page. They had flaws, which is normal. To be more interesting, their flaws were murder and infidelity, but no big deal, right? The scariest things are things that could happen to you and that’s why Amy was so frightening. Between the two protagonists, I liked Nick. He was a scumbag in some ways, but I think he redeemed himself by the end. Outside of those two, Margo was my favorite. She seemed the most relateable and not-crazy of the bunch and because she was out of the Amy/Nick loop, I identified with her frustration and confusion at each turn. I felt so bad for Andie, which is saying a lot about how every character in this book was a terrible person. I sympathized most for the character who knowingly had an affair with a married man. Wow. I think she was treated really badly by Nick through their whole relationship from being ‘the other woman’ to being dropped so unceremoniously to having to confess her sins to the world. All of this sounds terrible. I loved the beginning of the second section when we learned the truth about Amy. I was five seconds from writing ‘Nick totally did it’ in the margin of my book and then I turned the page and BAM! What a sadistic, evil person! I was so shocked especially to find out how detailed everything Amy had done in her planning turned out to be. She was so set on doing this for the longest time. And then to find out what she did to other people, the one guy she had dated and her friend from high school, it painted a great picture of this very smart and jealous person. I loved her character so much. The last page really made me think. When Amy said she wanted to have the last word, I was afraid of what she’d do to Nick or her baby to make sure she had the last word. I can’t imagine much more that she could do to Nick, but the innocent child being subjected to this evil woman is too much to bear. I’m not sure if Flynn would use these characters in another book, but I think their child would be an interesting character to read more about. This book is supposed to make us wonder how well we know those around us and how much of a front people are putting on at any given time. Do I really know my husband as much as I think I do? Does he really not mind watching the Office with me and does he really like cereal as much as it seems he does? Maybe in reality he’s plotting to kill Steve Carell and he detests crunchy sweet flakes. But in the end, I have to trust that I do know him as well as I think I do and that he’s not going to do to me what Amy did to Nick. Granted, I’m not cheating on him and haven’t made him move away from the one place he ever felt comfortable, so maybe Amy wouldn’t ‘Gone Girl herself’ to me, but I really don’t know. She’s kind of nuts-O. Writer’s Takeaway: Flynn shows us how fun it can be to play with your readers head! There were so many times when I knew there was something that I wasn’t being told and it played with my head. Nick would admit that he lied but not tell us what about. Amy was acting sweet toward Desi, you knew something was up. That’s the fun of being the writer, of knowing how something is going to end and how the story will get there but not letting the reader know right away what’s happening. Flynn did this wonderfully. I was disappointed in the same technique in James Dashner’s The Maze Runner but here it worked for me. I think the difference is that in Flynn’s book, the character knew more than the reader and in Dashner’s, the character knew as much as the reader. An amazing read and I’m really excited to see the film. Four out of Five stars. This book fulfills Missouri in my Where Are You Reading? Challenge. To all the others slaving away at NaNo, happy half way! It’s hard for me to measure progress by word count by I know today is a little over 28K for most of you. I’m counting hours still. And it’s been okay. I won’t lie and say it’s going well, but it’s been alright. I’m a little inconsistent. I’ll freely admit to that. I like using an hour at a time if I can, but I’ll take the 30 minutes when I can. I had Friday off from work and did my editing between other chores around the house. Saturday was awesome because I went to the Detroit area Midway Madness. We met at a library and had a potluck writing frenzy. It started at 12:30 but I didn’t get there until 4 and the event went till 7. The library let us stay after they closed at 5, which is a huge kudos to this group and how well they’re received by the community. I was able to add over 4,000 words to my manuscript and even won a word wars for a section I was adding completely new. I sat through 4 or 5 word wars (they do them for 20 minutes or more) but only participated in two because I didn’t want to rush editing. In total, I’m up to 21,941 words, but I had about 5K of those when I started. I’m counting this week as a huge win, even if I’m not writing every day. As far as establishing a habit, I think I’m on my way. I want this to be something I can continue to do after NaNo is over and not making it a stressful thing I do every day helps that. I still go to movies. I still go to book club and even dinner with my Spanish conversation group. But on nights off, I write. I’m going to write ins (another on Tuesday this week) and I’m enjoying the community. I’ve got two new NaNo stickers for my computer (huge win!) and I’m reconnecting with writers. It’s been a really great experience and I can’t wait to (hopefully) fully participate in NaNo next year. Welcome to the ‘Veterans’ Day Observed ‘edition of The Friday 56 hosted by Freda on Freda’s Voice. (This means I’m not working today, yay!) Head on over there and check out the other participating blogs. The community has been really great and I’m excited to jump in! I don’t have an in-process physical book I haven’t used for this yet, so I’m grabbing a title I read recently, Canada by Richard Ford. I really enjoyed the selection and I love this quote on page 56. Large occurrences were going on- larger than my father beginning a new job, or leaving the Air Force, or picking up and moving to a new town. Richard Ford does an amazing job building tension in this book and I think this quote illustrates that beautifully. This is not a spoiler because you find out about it in the first sentence, but the narrator’s parents are going to rob a bank and that’s the large occurrence that’s stirring in this scene. Ford does a great job of giving us the child’s perspective of everything happening around him yet letting us in on what the parents are doing and saying. This was a really good read.